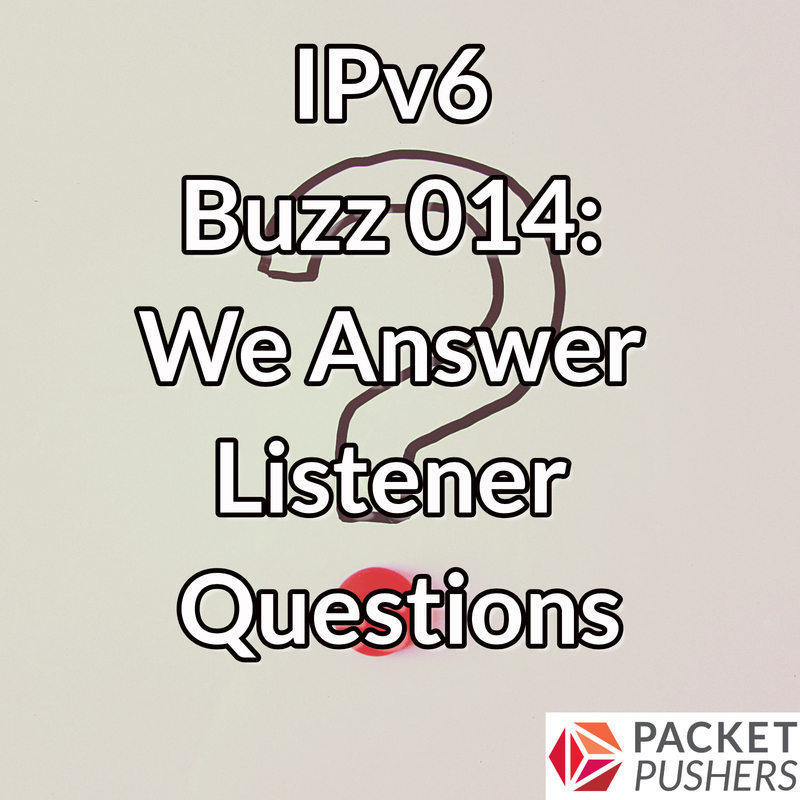 In this episode of IPv6 Buzz 014 the team addresses a variety of listener questions. Which DNS queries will an IPv6-only host issue? Thanks for listening, and if you want to ask questions hit us up on Twitter: @IPv6Buzz or see our individual Twitter handles below. This entry was posted on Thursday, November 29th, 2018 at 12:00 pm	and is filed under Podcasts. You can follow any responses to this entry through the RSS 2.0 feed. Both comments and pings are currently closed.